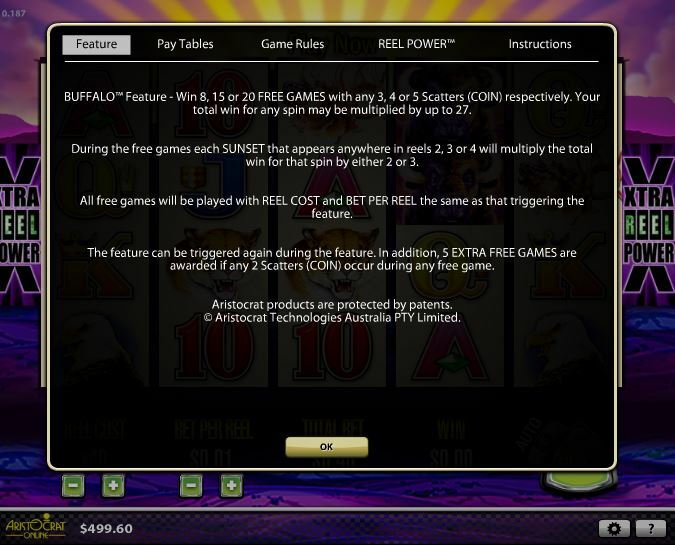 Buffalo slot by Aristocrat is hugely important when seen in context with today’s popular games. 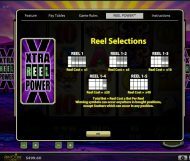 The game has 5 reels and 4 rows and 1024-ways to win. 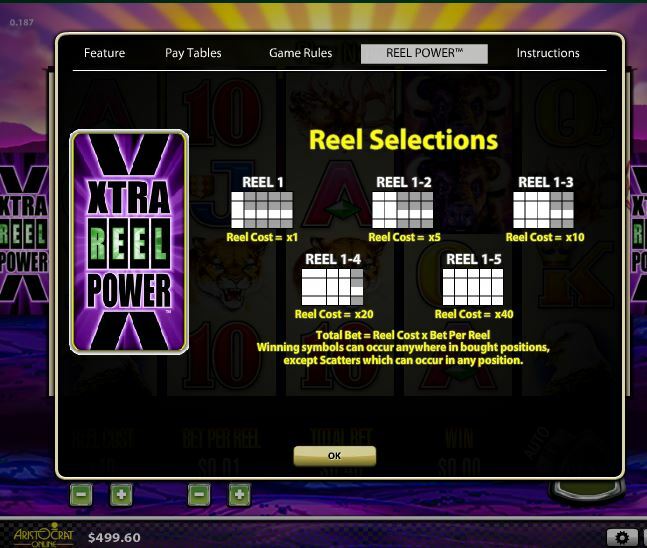 As the name suggests wild animals form the theme and scenic wilds appear on reels 2, 3 and 4. 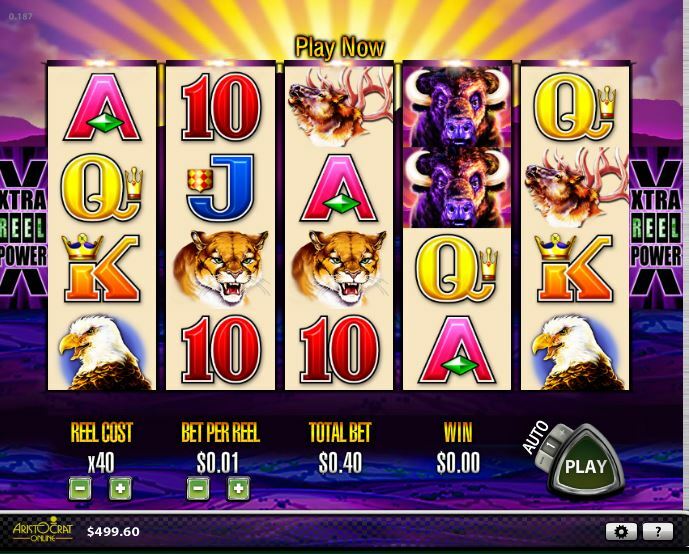 Should you get 3 Golden Eagle coins anywhere in view you are awarded 8 free games with extra free games if 2 or more scatter coins appear during them. 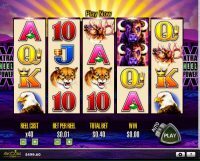 The wilds in this bonus round turn into either 2x or 3x multipliers when forming part of a win, therefore up to 27x multiplier is possible. 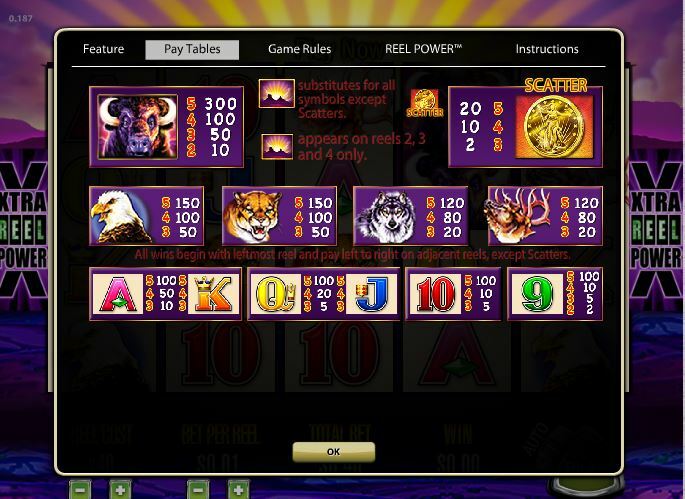 The slot is important as it was the original game upon which other very popular slots using the stacked animals with multiplying Wilds format have been based – Bally’s Thunderhorn and WMS’s Raging Rhino being the most obvious with Rhino having taken the idea a step further adding a 6th. 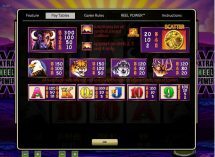 reel! 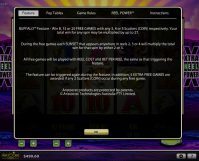 The game is quite volatile as capable of quite large hits with a RTP of 94.85%.